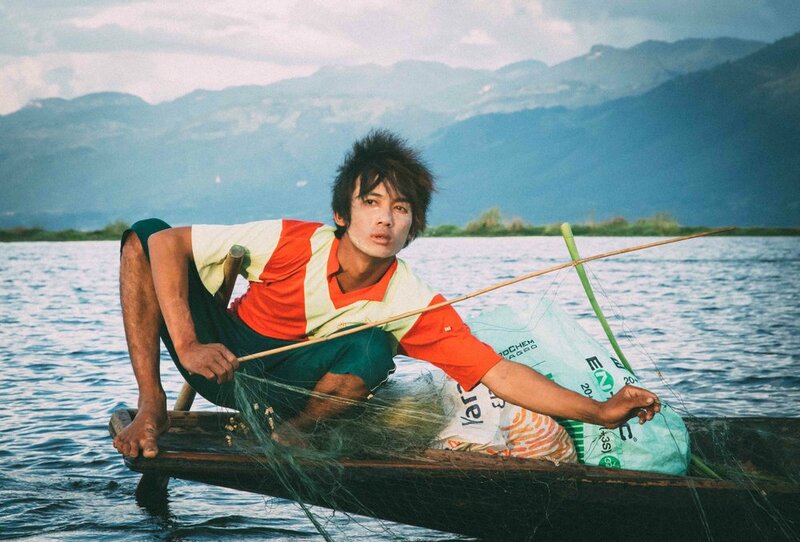 Inle Lake is in central Myanmar and home to the Shan Hill People. A small community of fisherman and local traders live in the township and there are many "floating" villages throughout the region. Fisherman here have developed a unique way of maneuvering while fishing. Known as "legrowing" the fisherman use their legs as an extension of their oars to keep from making noise and scaring fish away. In the Mandalay stone carving district, young boys learn at an early age how to create masterpieces depicting the image of Buddha. Monasteries throughout the country commission work for statues and other religious representations. Myanmar hosts one of the most thriving Buddhist cultures in the world. Monks and nuns begin their studies at a young age at monasteries throughout the country. For most, a chance to attend a Buddhist school is to be lifted from poverty.